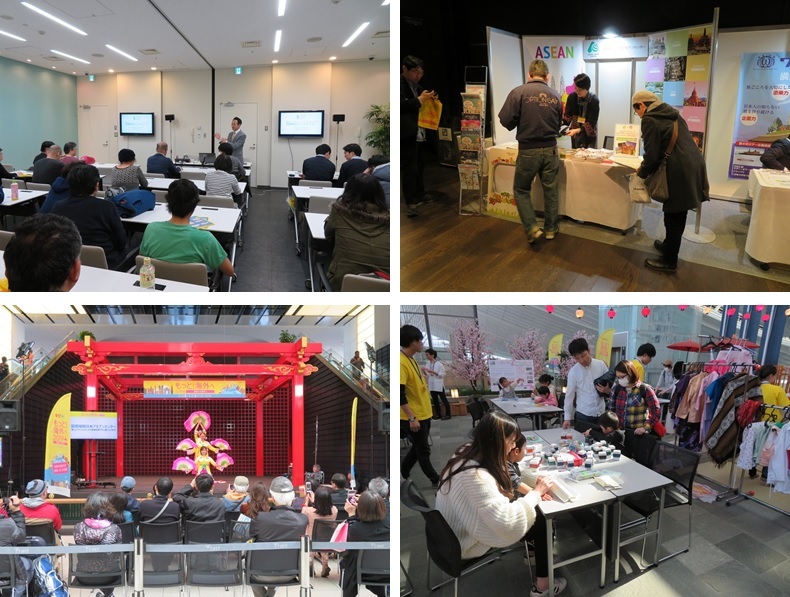 The ASEAN-Japan Centre (AJC) participated in a travel fair “To the Overseas 2019 ~ From Haneda to the World ~” organized by Tokyo International Airport Terminal (TIAT). The event was aimed at promoting outbound travel from Japan, and was held at the international terminal of the Haneda Airport from March 22 to 24, 2019 . At the fair, AJC distributed tourism information materials of the ASEAN Member States, and provided visitors with kits to make craft paper boxes using stamps of ASEAN’s iconic tourism attractions. In addition, AJC promoted diversified cultural/tourism attractions of the ASEAN Member States by showcasing Vietnamese dance performed by Vietnamese students on a stage, and by organizing a seminar to introduce awarded tour productrs of the ASEAN Tourism Awards Japan 2018. The Vietnamese dance was performed in an open air space; thus, many travelers stopped and enjoyed it. As to the outbound seminar, there were about 30 participants. Most of the seminar participants commented that thier desire to visit the ASEAN region increased after the seminar.